AHAH. 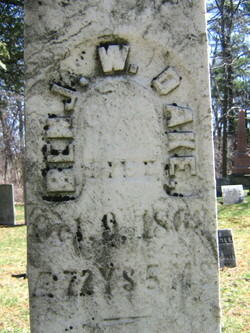 BENJAMIN WILLIAM DAKE SR.
On May 9, 1797 Benjamin was born in what was then known as Daketown, Greenfield Township, Saratoga Co., N.Y. to parents William Gould Deake and Margaret Mosher Deake. In 1825, he was listed as a head of household in Providence, Saratoga Co., NY. Sometime before 1825 he married Sally M. (no last name found, possibly Mosher) probably in Saratoga Co., N.Y.
On Dec. 28, 1853 Benjamin bought 400 acres of land in Sections 22, 23 and 26 of Marion Township, Ogle Co., Ill. and took his family west. The family settled in Marion Township on what was then known as the Morley Place. He purchased more land from William R. Morley (east 1/2 of Section 22, Marion Township) on March 8, 1854. The 1855 Census shows that William and Benjamin Jr. had left home to start their own families. Benjamin Sr., his sons Daniel and Horace were living in Scott Township, Ogle Co., Ill. (William continued to live in Marion Township through the 1860 Census). 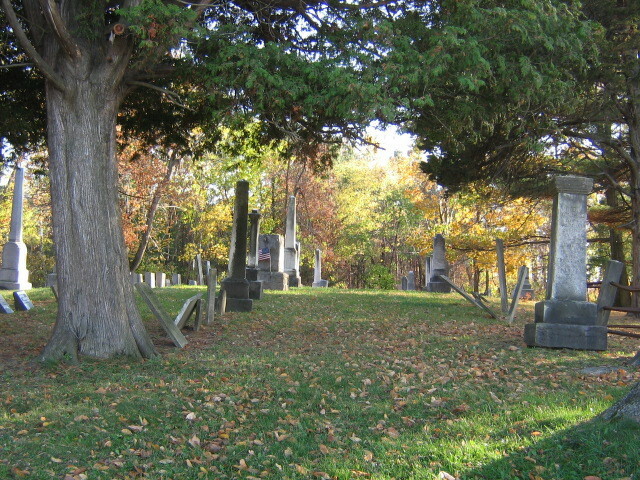 In 1861 both William and Benjamin Jr. purchased their fathers remaining land in Marion Township. Oct. 19, 1855, he sold Section 21 and 25 in Marion Township, Ogle Co., IL. In 1864 Benjamin Sr. and his wife were living in Section 22, Scott Township, Ogle Co., Ill. and got their mail at the Beacon Post Office (1 mile east and 1 mile south of what is now Davis Junction, Ill.) Some time between 1864 and 1869 they moved back to Livingston Co., N.Y. for unknown reasons. (He may have possibly moved for health reasons). Last Will and Testament of BENJAMIN W. DAKE SR.
First: After all my lawful debs are paid and discharged I give and bequeath unto my beloved wife Sally M. Dake, the sum of Three Thousand Dollars to be paid to her by my Executors within thirty days after my decease or as soon as she may call for the same with interest there on from the time of my decease to have and to hold forever to be in lieu of (dower?) and Statute Rights. Second: I give and bequeath unto Eugene C. Howe my Grand Son the sum of Eight Hundred Dollars and interest thereon from my decease. The interest to be paid annually unto the time he shall arrive at the age of twenty one years to my Daughter A. Jane Carter for her use and benefit and after that to be paid to him annually until the principal sum of Eight Hundred Dollars shall be paid to him as herein after provided which shall be paid to him when he shall arrive at the age of twenty six years by my Executors. And if he shall be steady and provide --- at the age twenty one years or at any time after that before he arrives at the age of twenty six years and be in the opinion of my Executors or of my Executor who shall enter upon the duties of Executor in need of the same the sum may be paid at the option of said Executor or Executors to him on his arrival at the age of twenty one years or at any time there after before he shall arrive at the age of twenty six years. And in the case of the death of said Eugene C. Howe before arriving at the age of twenty one years the said sum of Eight Hundred Dollars shall be paid to my daughter A. Jane Carter for her sole use and benefit within one year after my decease. And if he shall die at any time before he shall arrive at the age of twenty six years and before the Eight Hundred Dollars shall have been paid to him as above provided Then in that case the said Eight Hundred Dollars shall be paid to the same A. Jane Carter for her sole use and benefit. And in case the said A. Jane shall not survive the said Eugene C. Howe and both shall be dead before the said Eight Hundred Dollars shall have been paid by my Executors then in that case the same shall revert to children then living and to the heirs of such as shall not be living share and share alike. Third: All the rest and residue of real and personal estate and other property or estate that I may own or possess at my decease of every name and nature. I give and bequeath to my six children share and share alike. viz: Sally E. Michael, A. Jane Carter, Wm W. Dake. of Ogle County Illinois. Benjamin W. Dake Jr. of Ill, Horace M. Dake of Nunda N.Y. and David N. Dake of Ogle County Ill. to have and hold forever. And if either of my childred shall not be living at the time of my death. Then the share that their child would have shall be paid to their children living. And in case I shall have at the time of my decease any notes or claims against any of my children or there husband or wife of either. The sums so owed shall be received by said child who is the wife or widow or husband of the one against whom said claim is held as pay must for the --- thereof as apart of the legacy above provided for. And I further authorize my Executors or Executor who shall enter upon the duties of said office to sell and convey all my real and personal estate to the end that the avails (duties of share?) be disposed of as above provided in as speedy a manner. And as soon as possible. Likewise I make constitute and appoint Charles Micheal of Brooksgrove N.Y. and Wm. W. Dake. to be Executors of this my last Will and Testament. Hereby revoking all former Wills by me make. In witness whereof and have thereunto subscribed my name and affixed my seal the second day of February in the year of our Lord One Thousand and Eight Hundred and Sixty Nine. Witnesses hereto in his presence and in the presence of each other and written opposite our names our respective places of residence. Mieah W. Brooks of Brooks Grove Livingston Co. N.Y. Samuel Mosher of Brooks Grove Livingston Co. N.Y.
Click here to see an actual copy of Benjamin Dake's Will.